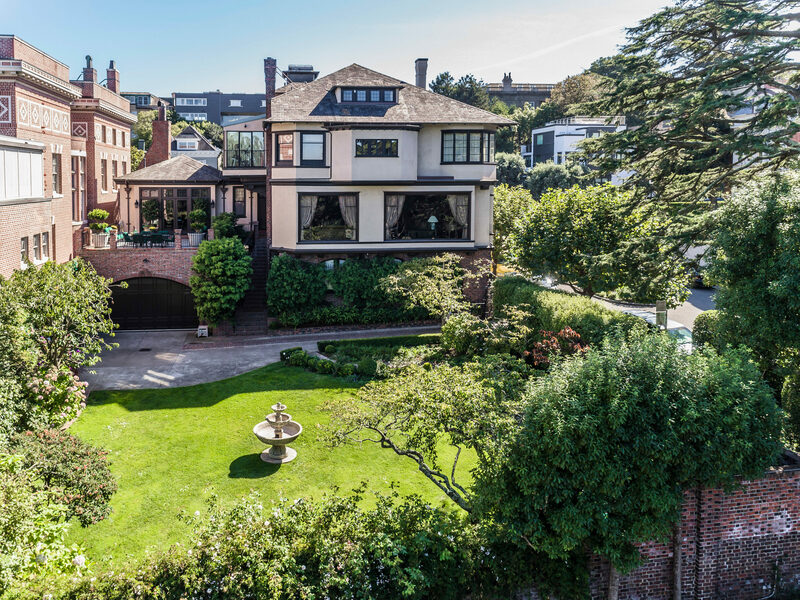 This home is one of the most beautiful and prestigious homes in San Francisco, California. Located on one of the most prestigious streets in San Francisco in a private cul-de-sac in Presidio Heights, it embraces the entire corner block. Pulling up to the extended driveway, through a beautiful automatic gate, one is immediately struck by the sweeping grounds revealing a serene flat park-like setting complete with beautiful landscaping, flowering gardens, mature trees and lush lawns. This extraordinary home sits on over a quarter of an acre of land and boasts close to 12,000 square feet of living space. 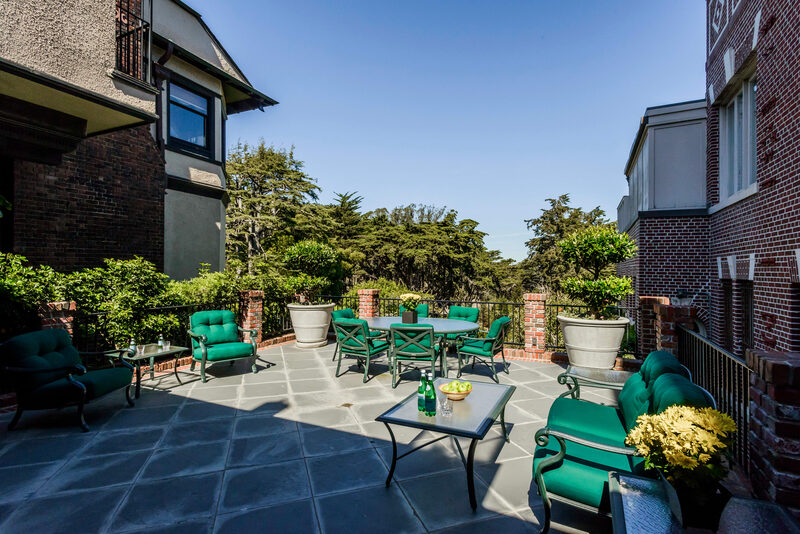 It overlooks and borders the Presidio greenery and offers the ultimate in privacy and views. A masterpiece built exclusively for the prominent Mary A. Huntington in 1910. 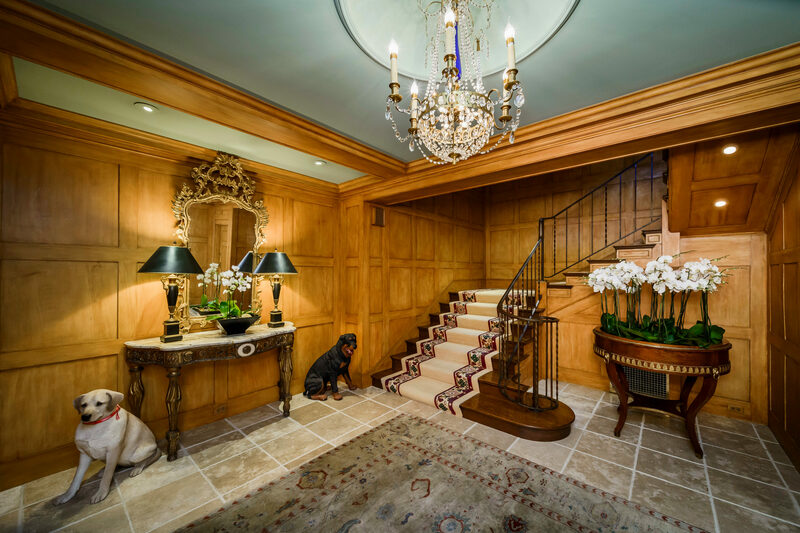 The renowned architect Hermann Barth designed this spectacular home with unparalleled quality, scope and scale with attention to detail highlighting the fine artistry and workmanship. The timeless architectural detail includes high ceilings, hardwood floors, wood paneled walls, coffered ceilings, beamed ceilings, dentil moldings, wainscoting, crown moldings, intricate ceiling moldings, large picture windows, leaded glass bay windows, arched ceilings, exterior corbels, large pocket doors and fabulous light fixtures. 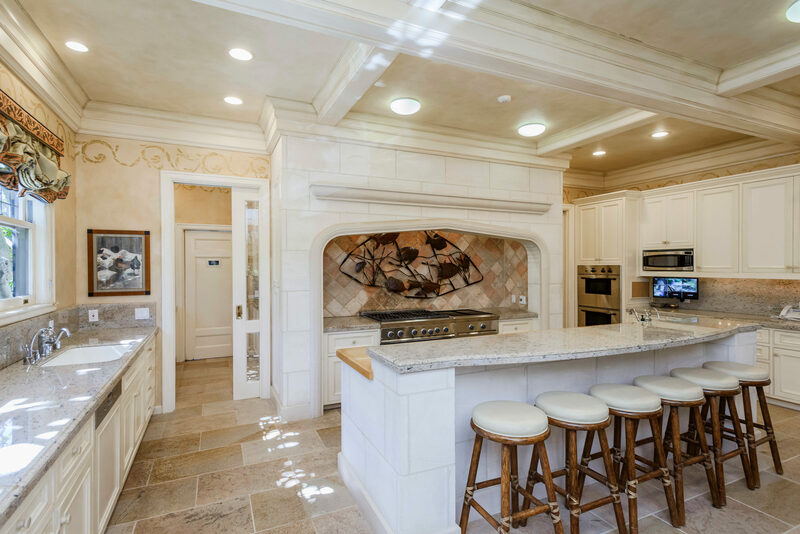 Remodeled and expanded by the current owner in 1994, it offers modern amenities and still retains the beauty and elegance from the era in which it was built. 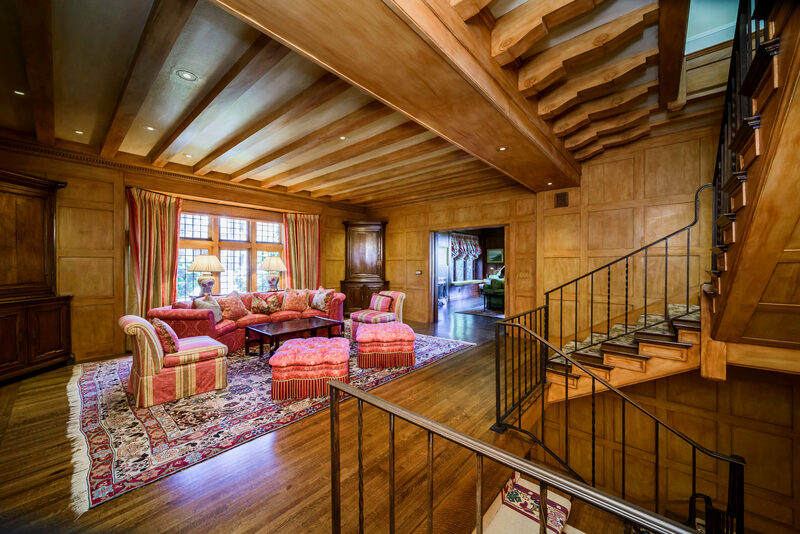 The upstairs landing features an expansive wood-paneled sitting area. 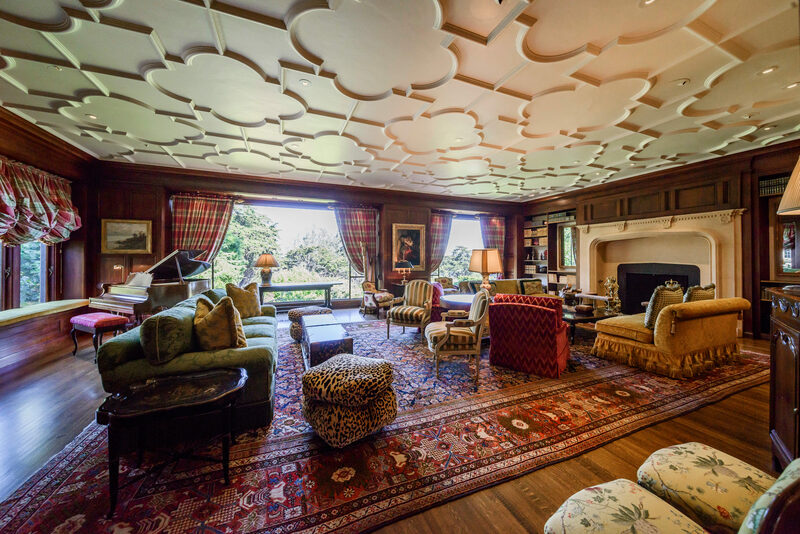 Truly one of the landmark mansions of San Francisco, the home features ornate ceilings and substantial fireplaces. The home looks out on a large landscaped private backyard and garden with lush lawn, sprinklers, fountain, a colorful assortment of blooming plants, manicured box hedges and mature trees. The back yard can be accessed from the first and second floors. 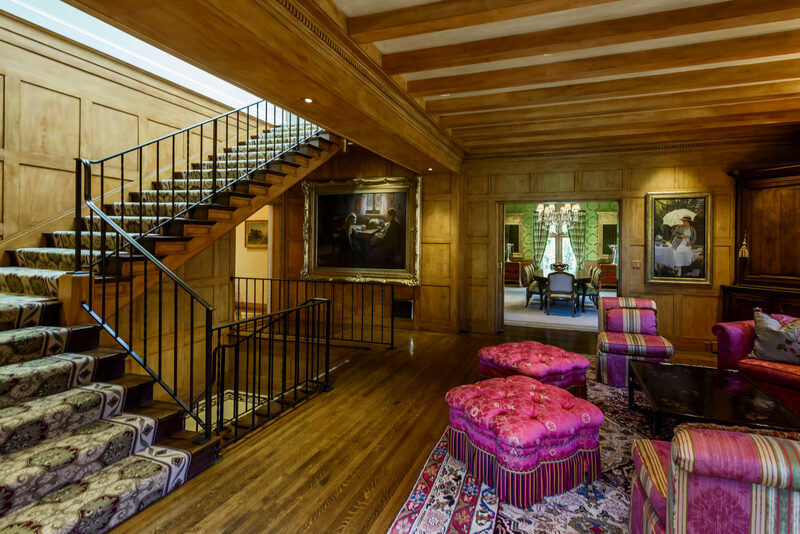 This remarkable residence is listed for $25 million with McGuire Real Estate and is showcased by Luxury Portfolio.